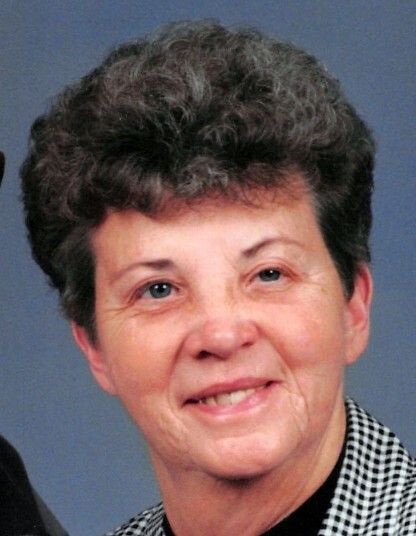 Coralie Sue “Coke” McIntyre, 84, of Monmouth, IL, passed away at 7:28 a.m., Sunday, March 24, 2019 at her home surrounded by her family. She was born on April 7, 1934 in Marion, IL, the daughter of John Oliver and Mrytle May (Jack) Phalp. Coke was raised and educated in Centralia, IL and graduated from the Sunnydale Adventist Academy in 1952. Coke married John McIntyre on August 2, 1951 in Pocahontas, AR, he survives. Coke worked for several years at Maytag in Galesburg. She was a member of the Parkview Adventist Church in Galesburg. She enjoyed cross stitching, traveling, baking, ceramics, and most of all, spending time with her family. Survivors include her husband, John McIntyre of Monmouth, IL; her daughter, Connie McIntyre Johnson of Estes Park, CO; and her son, David McIntyre of Monmouth, IL; 12 grandchildren and several great grandchildren. She was preceded in death by her parents; one son, Danny McIntyre; 3 sisters and 1 brother. Cremation rites have been accorded. No visitation or services are planned at this time. McGuire & Davies Funeral Home and Crematory, Monmouth is in charge of the arrangements.